At a weekly media briefing, Russian Foreign Ministry Spokesman Andrey Nesterenko focused on Russia’s relations with Italy, Brazil, Poland, NATO and the EU, on Iranian nuclear program and a number of other issues. 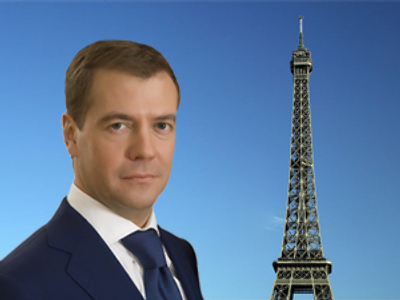 It is necessary to note the official visit of President of the Russian Federation Dmitry Medvedev to Ukraine, which took place on May 17-18, 2010. Medvedev held talks in Kiev with the President of Ukraine, Viktor Yanukovych. The Heads of State participated in a meeting of the Russian-Ukrainian Interstate Commission, and in a Russian-Ukrainian economic forum. Details of the visit are placed on the website of the Russian President. The President of Brazil paid an official visit to Russia on May 14, 2010. Dmitry Medvedev and Luiz Inacio Lula da Silva discussed the prospects of economic co-operation, and current international issues, including the Middle East settlement process, the Iranian nuclear program and the situation in South America. At the end of the meeting the Presidents adopted a Joint Statement of the Heads of State, devoted to the 65th anniversary of the end of World War II, and signed an Action Plan of the strategic partnership between Russia and Brazil. A number of joint documents were signed in the presence of the leaders of the two countries. Details of this visit are also posted on the Russian President’s website. Today, 20 May, a joint meeting of the Russian and Italian foreign and defense ministers is being held in Rome involving on the Russian side Sergey Lavrov and Anatoly Serdyukov. This is the first meeting in a new format for Russian-Italian relations – the so-called 2 plus 2, an agreement on the establishment of which was reached during the sixth round of bilateral top-level consultations under the chairmanship of President of the Russian Federation, Dmitry Medvedev, and President of the Council of Ministers of Italy, Silvio Berlusconi, on December 3, 2009 at Rome. The creation within the bilateral dialogue framework of a new mechanism of in-depth consultations on issues of international politics and security reflects the line of the leaders of the two countries on a comprehensive strengthening of the Russian-Italian strategic partnership. After the consultations, Italian Prime Minister Berlusconi plans to receive Lavrov for a conversation. Lavrov and Serdyukov plan to describe in detail the outcome of the discussions in Rome at a joint press conference to be held during these hours. An account will be placed on the websites of our ministries. Minister of Foreign Affairs of the Russian Federation Sergey Lavrov on May 16 held talks with Deputy Prime Minister and Minister of Foreign Affairs of the State of Kuwait Mohammed Sabah Al-Sabah, currently in Russia on a working visit. Discussions focused mainly on the question of strengthening political interaction and co-operation between Russia and Kuwait in various fields. The parties examined a wide range of global and regional problems from the perspective of the tasks of creating a multipolar world order, bolstering international security and stability, achieving a political settlement of conflicts, and increasing counteraction against extremism, transnational terrorism and other challenges. You can also acquaint yourself with detailed information about this meeting by visiting the Ministry website. I would like to draw your attention to the speeches made by Minister of Foreign Affairs Sergey Lavrov during Government Hour in the Federation Council of the Federal Assembly of the Russian Federation on May 13 and in the State Duma of the Federal Assembly of the Russian Federation on May 19. In these speeches, Lavrov set forth to the parliamentarians the most urgent tasks now facing foreign policy. He described the current processes in international affairs, and delineated Russian diplomacy objectives for the long term. The minister also touched upon the main aspects of international diplomacy in the context of the development of Russian foreign policy, and answered numerous questions relating to the themes of his speeches. More information is available at the Foreign Ministry site. On May 22, 2010 in Tashkent, Minister of Foreign Affairs Sergey Lavrov will attend a meeting of the Council of Foreign Ministers of the Shanghai Co-operation Organization (SCO), which is to be held under the chairmanship of Uzbekistan. The focus of the meeting will be the preparation for an upcoming SCO Council of Heads session in Tashkent in June. At the same time the ministers will consider the drafts of a final declaration, and other documents and decisions of the summit. The heads of the foreign affairs agencies will discuss topical regional and global issues, as well as further deepening the interaction of the SCO member states in international affairs. On May 19, Sergey Lavrov, Chairman of the Government’s Overseas Compatriot Affairs Commission and Minister of Foreign Affairs of the Russian Federation, had a traditional meeting at the MFA Mansion with members of the World Co-ordination Council of Russian Compatriots, which these days is holding a session in Moscow. I was asked: “Could you comment on the statement by Lithuanian President Dalia Grybauskaite at the ceremony of bestowal of awards on the “forest brethren” on May 14, in which the President asserted that the struggle of the so called “partisans” not only "slowed assimilation and destruction of national identity,” but also showed that “Lithuania’s joining the USSR voluntarily” was a myth? Such statements of Grybauskaite vividly illustrate the duality of Lithuanian politics. How else can one explain the fact that, on the one hand, Vilnius offers numerous assurances of the willingness to develop pragmatic co-operation with Russia in a spirit of mutual understanding and trust, and on the other, it undertakes attempts to exploit the issues of our common history and to foist a tendentious concept of “Soviet occupation” on the civil societies of the two countries. Lithuania must understand that it is impossible to build co-operation with the Russian Federation on the desire to manipulate the historical memory to suit domestic political expediency. With this approach of the Lithuanian leadership to the creation of a politico-informational background of our interstate relations to talk about the prospects of achieving a qualitatively new level of Russian-Lithuanian dialogue seems to be premature. I would like to draw your attention to the Russian Foreign Ministry statement in connection with the pronouncement on May 17 of the ruling of the Grand Chamber of the European Court of Human Rights (ECHR) in the case of Vasily Kononov. I’ll repeat once again that its contents are being carefully studied in Russia. As you know, the website of the Ministry has hosted a special statement. In our assessment, one can speak about a very dangerous precedent that causes us great concern. We regard the verdict of the Grand Chamber not just as a revision of the fair ruling the Court Chamber in this case, handed down on July 24, 2008, but as an attempt to cast doubt on several key political and legal principles that emerged following World War II and the postwar arrangement in Europe, particularly with regard to the prosecution of Nazi war criminals. Once again I will stress: we are sure that the Russian and international juridical community will have its weighty say in designating the legal consequences of the decision. On May 19, the media commented extensively on the press conference at Interfax News Agency in which Tatiana Anodina, head of the Interstate Aviation Committee, gave clarifications regarding the work done by Russian and Polish specialists to decipher transcripts of the flight data recorders of the Polish President’s plane that crashed near Smolensk on April 10, 2010. I can stress once again that a draft memorandum of understanding was transmitted to Warsaw on May 18 via diplomatic channels, the signing of which on behalf of the state commissions of Russia and Poland, and the Interstate Aviation Committee as an international body conducting an independent technical investigation of the causes of the air crash near Smolensk on April 10 will make it possible to resolve the issues of a transfer to the Polish side at its request of copies of the transcripts of the flight data recorders of the Republic of Poland Tu-154M plane, airframe 101, with regard to a number of restrictions related to the norms of the Chicago Convention on International Civil Aviation and to the ICAO regulations. I’ll stress that the work on the memorandum with the Polish partners is proceeding vigorously. We presume that this tripartite document can be agreed upon in a short space of time and, accordingly, the procedure for transfer of copies of the transcripts of the decoded cockpit voice recorders will be held in the near future. We hope in co-operation with the Polish side to do so during May. We will carefully study the detailed report prepared by the Albright-led group at the direction of the NATO Secretary General with recommendations for NATO’s new Strategic Concept, which is expected to be endorsed at the Alliance summit in Lisbon in November this year. Our preliminary analysis of the document leaves a dual impression. On the one hand, it contains a lot of constructive ideas for a Euro-Atlantic system of co-operative security, the adequate embedding of NATO in a scheme of international efforts at peacekeeping and responding to modern challenges and threats – based on the recognition of the role of the UN and international law – and a rational “division of labor” with the EU, OSCE, CSTO, SCO and other existing security structures. It is proposed to more clearly define the objectives of NATO as a regional organization which does not seek the functions of a “global policeman” and does not aspire to leadership in non-core areas of security. An important statement by the example of Afghanistan – that military means cannot achieve a long-term post-conflict stabilization, and that an integrated effort is needed with emphasis on political and socio-economic assistance, involving all key players. It is these points that have been discussed repeatedly by us with our partners in NATO, and this was also the focus of the conversations with the Group of Wise Men in Moscow in February this year, of which we informed you in detail. We note the recommendations in the report for a qualitative improvement of relations with Russia – through the strengthening of mutual trust and by the expansion of partnership based on common security interests: Afghanistan, missile defense, arms control, crisis response, and the struggle against terrorism, piracy, the proliferation of WMD and drug trafficking. For our part, we have always stressed our commitment to open dialogue in the Russia-NATO Council on problematic issues and to a sustained buildup of mutually beneficial partnerships with the NATO countries in countering the real challenges to stability in the Euro-Atlantic space. However, it has not escaped our attention that the report also includes a number of prejudiced clichés from another era, in our judgment, with regard to our country. Apparently, some members of the Group of Wise Men find difficulty realizing the changes that have occurred in the world since the end of Cold War and the priorities of contemporary Russia. Hence the clearly unjustified from the view of common sense, and the realities of today, hyperbolization of the “defensive” functions of the alliance under Article 5 of the Washington Treaty. 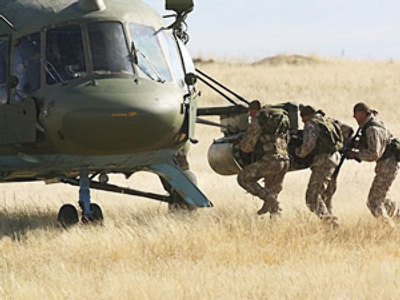 The suggestions for NATO to maintain a free hand in deciding on the use of its military capabilities, or acting “according to the situation,” including outside its traditional sphere of responsibility, also raise questions. The report’s formula of the anti-NATO focus of the Russian initiative for a European Security Treaty, despite the many clarifications given by us in this regard, likewise cannot but evoke surprise. We hope that in further work on the draft of NATO’s new Strategic Concept the mindset will prevail for transformations in the alliance which would serve the interests of strengthening stability and predictability in politico-military affairs, building a common space of indivisible security in the Euro-Atlantic area, and co-operating more effectively in responding to the real common challenges and threats. This would benefit all. I would like to draw attention to the news reports concerning the draft of a so called “UN Security Council sanctions resolution on Iran.” I can only direct you to our position on this matter, as detailed in the press release on the MFA site about the outcome of the telephone conversation between Foreign Minister Sergey Lavrov and US Secretary of State Hillary Clinton held on May 18. The heads of the foreign affairs agencies of the two countries had a thorough exchange of views on the situation surrounding the Iranian nuclear program, particularly with regard to the Declaration of the Ministers of Foreign Affairs of Brazil, Iran and Turkey signed in Tehran on May 17, with suggestions for resolving the issue of swapping Iran’s low-enriched uranium for fuel for the Tehran research reactor. The Minister and the Secretary of State exchanged views on the impact that this move could have on the preparation of a new UN Security Council resolution on Iran. The Russian side confirmed that the principled understanding achieved within the “5 +1” group on the draft resolution remains valid and that, at the next phase, work is to be continued in the Security Council already, where the nonpermanent Security Council members will have the opportunity to express their attitude towards the draft. It was also noted that at the same time a thorough analysis of the post-declaration situation has to be carried out, particularly in terms of the need for Iran to act speedily to comply with its provisions, primarily through a formal application to the IAEA. Lavrov drew attention to the document’s assessment given by Russian President Dmitry Medvedev at a press conference in Kiev on May 17, and stressed that agreeing on generally acceptable ways to implement the Brazil-Turkey initiative would help establish a favorable atmosphere for the resumption of politico-diplomatic efforts to resolve the Iranian nuclear issue as a whole. The full text of the press release on the outcome of this telephone conversation is posted on the MFA website. If you show me such a draft resolution, I'll be ready to comment on it. Concerning how the situation is evolving with regard to the UN Security Council – I again draw your attention to the telephone conversation between Lavrov and Clinton. Signed in Kiev on May 17, 2010, the Joint Statement of the Presidents of the Russian Federation and Ukraine on the Transdniestrian settlement has, as anticipated, attracted international attention. The document articulated the vision by the states acting as mediators and guarantors of a just and comprehensive settlement of the problem, of the basic principles for continued search of a political compromise and noted the key factors designed to ensure stability in the region. Against a background of stalled efforts to restore mutual understanding between Chisinau and Tiraspol, the clear position statement provides a timely and significant contribution to the consolidation of international mediation in this regard. By all appearances, the Moldovan side had beforehand disposed itself to receive the signal from Kiev skeptically, openly expressing doubts as to whether the statement would have a political and legal impact on the process of conflict resolution. Moldovan Prime Minister Vlad Filat’s official comment on May 18 boiled down to just this: Moldova is ready to immediately engage in constructive negotiations with the Transdniestrians in an international format, and regards the beginning of consultations on the transformation of the regional peacekeeping operation and removal of the Russian contingent in the conflict zone as the main condition. Indeed, the fact that a settlement can only be achieved in the negotiations between the parties to the conflict, and that the elaboration of a special and reliably guaranteed status for Transdniestr is expected in this context, which, in turn, will prompt an international peace guaranteeing format to replace the current peacekeeping one, is confirmed by the formulations of the Kiev document. We would not like to think that behind the striking slogans to reach an “immediate agreement about everything” is hidden the intention to put pressure on the opponent, and not to negotiate on equal terms. Since the spring of 2006, the conditions have not yet been restored for even the resumption of the consultation format ‘Permanent Conference on political issues within the framework of the Transdniestrian negotiation process.’ The politico-constitutional crisis on the right bank of the Dniester, the ambiguous statements by Moldovan political leaders about the future orientation of the country, and the absence of the settlement model itself dramatically weaken the prerequisites for mutual accommodation of the conflicting parties. The Russian Federation bases its mediation in resolving the Transdniestrian problem on the continuity of the agreements reached in the negotiation process and on the observance of the international principles of settlement. It has always been interested in restoring the territorial integrity of Moldova and strengthening its sovereignty and constitutional neutrality. The fact that these positions are fully shared by the state leadership of Ukraine enhances the prospects of achieving a sustainable political Dniester region settlement. A plenary meeting was held in Brussels on May 19 to sum up the work done in the ninth round of negotiations on a New Russia-EU Framework Agreement. The parties were generally appreciative of the current negotiation phase in terms of the momentum and the overall focus on the result, which should fully reflect the interests of both Russia and the EU. Evaluation of the talks on the Framework Agreement is included in the agenda of the Russia-EU summit at Rostov-on-Don (31 May – 1 June). It was arranged to hold the next, tenth round of negotiations in June and July. 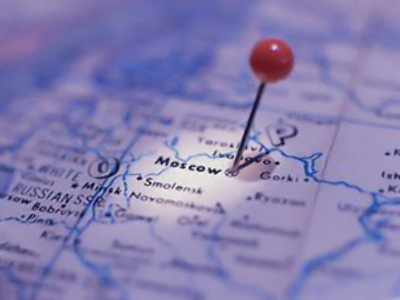 This year's economic forum in St. Petersburg will be held on June 17-19. Its keynote theme will be modernization: how Russia and other countries are going to seize the opportunities that the crisis has provided for the modernization of national and world economies. By tradition, the President of the Russian Federation will open the forum with his speech. French President Nicolas Sarkozy is scheduled to speak on the second day of the forum. The discussions will involve the leaders of the world's largest companies, leading experts and heads of bodies of state power in Russia and other countries. To date, participation has been confirmed by heads of companies in the most diverse industries: energy, manufacturing, high technology, the financial sector and consulting. Among them: Total, BP, ENI, Shlumberger, BHP Bilton, Chevron, ConocoPhillips, Deutsche Bank, Citigroup, Alcoa, Daimler AG, Siemens, Intel, Cisco, Telenor, Nestle, Unilever and others, and the leaders of all major auditing firms. Topics of panel discussions are devoted to the global problems of the world economy, the Russian specificity, as well as analysis of the future in the sphere of high technology in terms of its impact on the economy and business. There will be held discussions on the most diverse themes ranging from changes in investment policy for the largest sovereign funds and the future of the markets for telecommunications and alternative energy, to new models of the formation and construction of the cultural environment of cities. A number of sector-specific discussions will be held as business lunches. This year they will be devoted inter alia to the pharmaceutical industry and global market audit. The Business Dialogues: Russia-USA, Russia-CIS, Russia-European Union, and Russia-India are organized. Traditionally the heads the world's largest energy companies will meet in a panel discussion. This year it will focus on the future of the global gas market. For a discussion of the Russian theme, some of the activities of the forum will be held in a fundamentally new format – briefings – this year. During the briefings, Cabinet members and leading experts will interact with the audience, explaining the changes that take place in Russia as part of the construction of the Customs Union and improvements in immigration and budgetary policies. We believe that the dialogue on issues of adoption is proceeding in a constructive manner. There have been two rounds of consultation (on April 29 and May 12-14), a joint working group of experts has been set up and has already begun to harmonize the provisions of the draft bilateral adoption agreement submitted by the Russian side. Most important, the parties have managed to reach a common understanding of the need to change the status quo in this area by adopting a legally-binding treaty, which would reliably guarantee the rights, life and health of foster children. It is about the regulation of adoption agencies, guarantees of free consular access to foster families, the preservation of the original nationality of children, and the determination in Russia and the US of central authorities responsible for the implementation of a future agreement. The Ministry for Foreign Affairs, the Ministry of Education and Science and other concerned Russian agencies proceed from the assumption that it should be prepared as soon as possible. This approach is shared by the American experts. It was arranged to hold the next round of consultations in Washington in the first half of June. In view of the media inquiries coming in to the Ministry, I would like to comment on the steps being taken to resolve the “case” of B. T. Hobert, a former school teacher at the German Embassy, who became responsible for the road traffic accident in Moscow on November 30, 2008, which killed two Russian citizens: A. V. Yevteyev and A. G. Kamynin. On April 30, O. E. Kamynina, mother of Aleksandr Kamynin who died in the accident, forwarded an appeal to the European Court of Human Rights (ECHR) against the decision of Germany’s Munster Court of November 10, 2009, giving Hobert a one-year suspended sentence, a ban on driving for one month and a fine of 5,000 euros. The lawsuit aims to ensure the injured parties' rights to a fair and public hearing and to life under Articles 6 and 2 of the Convention on the Protection of Human Rights and Fundamental Freedoms of November 4, 1950. The injured parties used the opportunity and their inalienable right of recourse to international courts due to the fact that the verdict of the Munster court is final and cannot be appealed within the framework of the legal system of Germany. The German Federal Office of Justice had formally notified the Russian Prosecutor General's Office of this in response to its inquiry. We believe that the ECHR’s consideration of the “Hobert case” does not encompass another important aspect of a just settlement of the consequences of this tragic incident: reasonably compensating the victims' families for moral damage. We want this solved in the spirit of a “humanitarian gesture” of the German side, in line with the understanding reached by Sergey Lavrov with German Vice-Chancellor and Foreign Minister Guido Westerwelle at the talks in Moscow on November 20, 2009, and confirmed at the meeting in Berlin on February 5 this year. The initiative of German insurance company Allianz, which has insured Hobert’s auto civil liability, to resolve the issue of compensation out of court by negotiating an “amicable agreement” with the families affected is being considered in this context. The Russian Foreign Ministry will continue to work through diplomatic channels to provide the bereaved families with necessary assistance for a quick finalization with the German side of the acceptable-to-them and fair terms of an “amicable agreement” on compensation, which would fully take into account the humanitarian aspect of the question. We intend to continue to keep you informed about the further development of this situation. We are continuing carefully to monitor developments around the North Spirit ship which, on May 17, was attacked by pirates 70 km from the Cameroonian port of Douala. On the night of May 16-17, a group of about 20 armed persons on three motor boats approached the ship and landed on its deck (the ship sails under the flag of Saint Vincent and the Grenadines, the owner is the Greek company North Spirit Navigation). The pirates forced the sailors to go on deck at gunpoint, robbed the cabins, put the radio and navigational equipment out of order, and took away the mobile phones. In the end they abducted two members of the mixed Russian-Ukrainian crew: captain of the ship Boris Yevgenyevich Tersintsev and chief engineer Igor Kornilyevich Shumik. Both the abductees are citizens of Russia. As usual in such cases, the Foreign Ministry has used all necessary connections – both with the Russian competent authorities, as well as with foreign partners. Priority for us is the safety of the crew. The situation right now is extraordinary. We maintain close contact with the Cameroonian side to ascertain quickly the circumstances of the incident and help those captured. Furthermore, we insisted that Cameroon send a Coast Guard ship to protect the vessel and ensure the safety of the remaining sailors there, including Russian citizens. Our request was satisfied by the Cameroonian side. We have used the relevant international channels to establish the abducted Russians’ whereabouts. The Consular Department of the Russian Embassy in Cameroon has been in contact with the crew; its officials report that the remaining sailors on board are healthy and their lives are not threatened. According to the first assessments by Cameroonian security forces, the abduction of the Russian sailors might be the work of militants from the Nigerian Movement for the Emancipation of the Niger Delta (MEND), or members of other Nigerian gangs operating in the area. They are based in Nigeria in difficult of access swampy coastal areas near the border with Cameroon. Russia's ambassador to Cameroon, S. A. Akhmedov, met with the Delegate General for National Security, Emmanuel Edou. The latter said with a high degree of certainty that the abduction of the Russians had no political motive, and was committed for ransom. According to him, the kidnappers are either members of the Nigerian gangs, or similar smaller groups. Developments in Kyrgyzstan, including in the south of the country, remain in the field of our constant attention. Vladimir Rushailo, the recently appointed Special Representative of the President of the Russian Federation for relations with the Kyrgyz Republic, is in Bishkek right now. He is holding consultations with the Kyrgyz leadership on urgent issues of bilateral co-operation, including the provision of humanitarian assistance to the population of Kyrgyzstan. We are interested in a complete and reliable stabilization of the situation in friendly Kyrgyzstan and in the creation of conditions for the consistent solution of the tasks of state and economic building there. We are watching with concern the situation in Bangkok where, on May 19, the army and police carried out an operation to stop the mass opposition protests. There were deaths and injuries, including among foreign journalists; about 30 commercial and office complexes, administrative buildings, bank branches and so on are fully or partially destroyed. A state of emergency has been declared in the capital and 23 provinces of the country. No Russian citizens have been hurt. We deeply regret the recent injuries and loss of life in the tragic events in Bangkok. We hope that the internal political difficulties in the Kingdom will soon be resolved through peaceful dialogue and within the law. There is no immediate threat to the staff of the Russian Embassy in Thailand, which has taken additional security measures, and strengthened protection of its territory. At the same time, the Russian Foreign Ministry reiterates its advice for Russian citizens to refrain from visiting Thailand until a complete return to normality in the country. This is not the first time that we have granted such requests from Georgian private companies, proceeding above all from the humanitarian significance of this issue. Earlier, as you know, permissions were given for Christmas and Easter flights, now flights will be carried out during the summer holidays. Of course, it would be better if citizens of the two countries had the opportunity of making air flights on a normal, ongoing basis, as envisaged by the current Russian-Georgian intergovernmental agreement of 1993. But, unfortunately, official Tbilisi does not show willingness to undertake the necessary consultations on the restoration of regular air traffic. Maintaining and developing Russian-Georgian contacts along social and party-political lines is particularly important now, when the ruling circles of Georgia have blocked interstate relations and are making every attempt to destroy the centuries-old ties between our countries and peoples. We are open to dialogue and interaction with all in Georgia who recognize the vital importance of good-neighborliness with Russia in terms of Georgia's national interests, who seek the restoration of traditional friendship and mutual understanding. It is from this vantage point that we will view some or other initiatives of the “National Council”. I announce with deep regret the death of our colleague and friend, the Consul General of the Russian Federation in Osh (Kyrgyzstan), Muhamadzhan Karimovich Ziganshin, from sudden cardiac arrest aged 58. We express our sincere condolences to his family and friends. Q: Will Russia support US sanctions against Iran and, if the United States demands it, will Russia suspend its co-operation with Iran? A: I can once again draw your attention to the detailed explanations of Russia's position on this issue given during the stay of President Dmitry Medvedev in Kiev and during the telephone conversation between Russian Foreign Minister Sergey Lavrov and US Secretary of State Hillary Clinton. There is nothing I can add. Q: Going back to the theme of the payment of pensions to Great Patriotic War (WWII) veterans who are Russian citizens in Germany, what are the first results of the negotiations and consultations with the German side on co-operation in the social sphere dealing, inter alia, with the problem of the reduction by German social bodies of the social security benefits paid to Russian veterans by the amount corresponding to the payments that they receive at home? How did the Volgograd round of these negotiations, held on April 30, end? How is the jurisdiction of the Russian Ministries of Foreign Affairs and Health and Social Development delineated in this matter? A: These issues have already been covered by us in the previous briefings. Given the specific and complex nature of this range of issues, they require substantive consideration by experts through specialized interagency negotiating formats with the German side. With regard to negotiations on a draft agreement between Russia and Germany on co-operation in the social sphere, I can confirm that their regular round was held in Volgograd from April 26 to 30. Since the main relevant agency in charge of these matters is the Ministry of Health and Social Development, I would advise you to ask this agency for more information. Q: How can the Russian Foreign Ministry comment on the report by a group of international investigators of the sinking of the South Korean ship Cheonan, whose findings boil down to the conclusion that a North Korean missile sunk the ship? A: I can say that we have received only isolated reports on the results of the South Korean side’s sufficiently detailed investigation of the aspects of this incident. We very much regret that the members of the crew were killed, but in order to draw our conclusions, we need to acquaint ourselves with the results of this investigation and study them. Preliminary contacts with our South Korean partners showed that they had some suspicions, but there was no conclusive evidence. Now they contend that the examination of all aspects of this tragedy is complete, but we need some time to draw the appropriate conclusions. Q: This year as part of annual visa-free trips between citizens of Russia and Japan, the first group of Japanese nationals visited Kunashir Island. Unfortunately, the Russian Foreign Ministry had put forward two new requirements for this trip. First, going through port entry formalities and filling out by the ship’s captain a port call application; and second, obtaining by reporters traveling with this group accreditation from the Russian Foreign Ministry. The Japanese side believes that these requirements violate the spirit of the agreement. How can the Russian Foreign Ministry comment upon this situation and will it not happen that now journalists will participate in these trips, calling themselves not journalists, but employees of companies? A: We provided an explanation regarding these requirements in previous briefings, and conveyed in detail our position, based solely on the provisions of Russian legislation governing these matters, to the Japanese Embassy in Moscow.